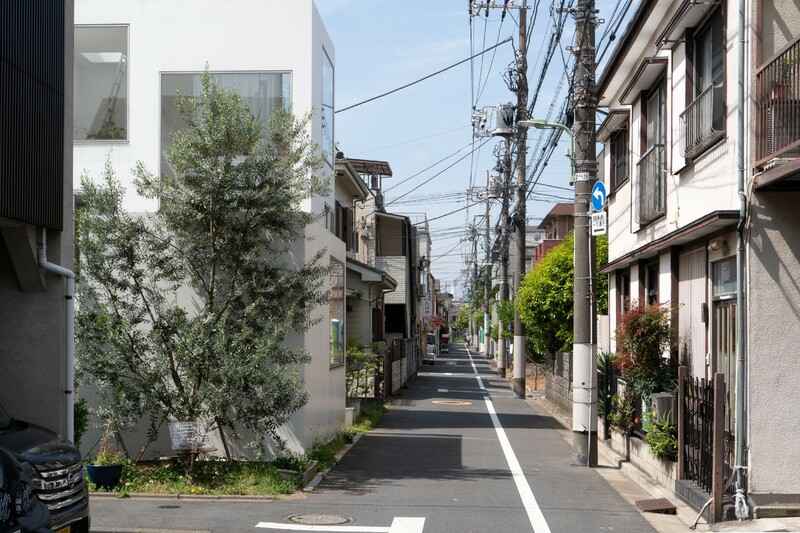 I recently took the opportunity to make rapid visits to two houses in Tokyo, both of which sit an hour or so on the subway from Tokyo central station, well into the city’s sprawling suburbs: Sou Fujimoto’s House NA and Ryue Nishizawa’s Moriyama House, the subject of this post. 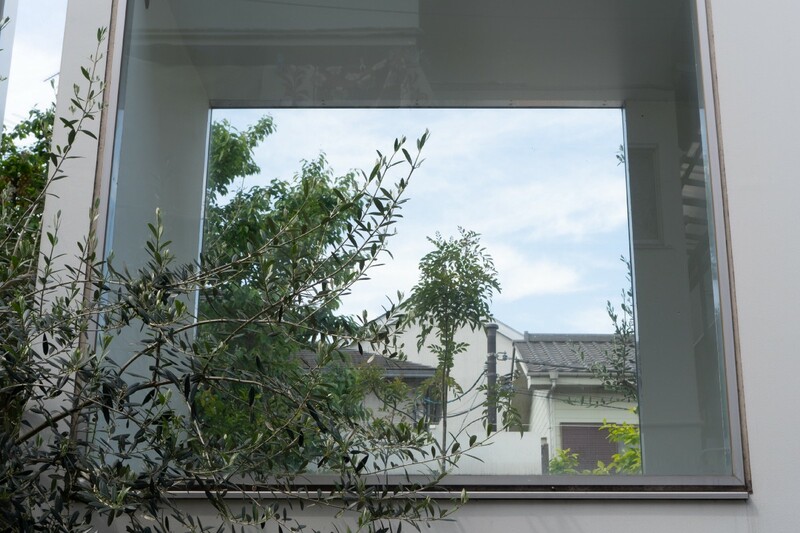 I circled each furtively with a camera for a while, trying to ever-so-discreetly stalk their structures as both are private residences. Yet as both are also pinned up on foundations of ‘radical transparency’, I didn’t feel too awkward in doing so. 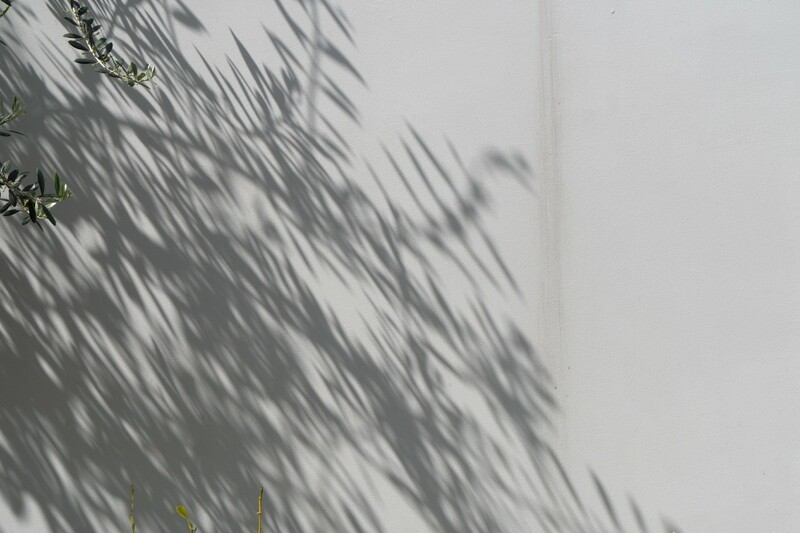 But the photos I’ve selected below represent that privateness, as well as their publicness, and I’m not revealing their precise locations accordingly. 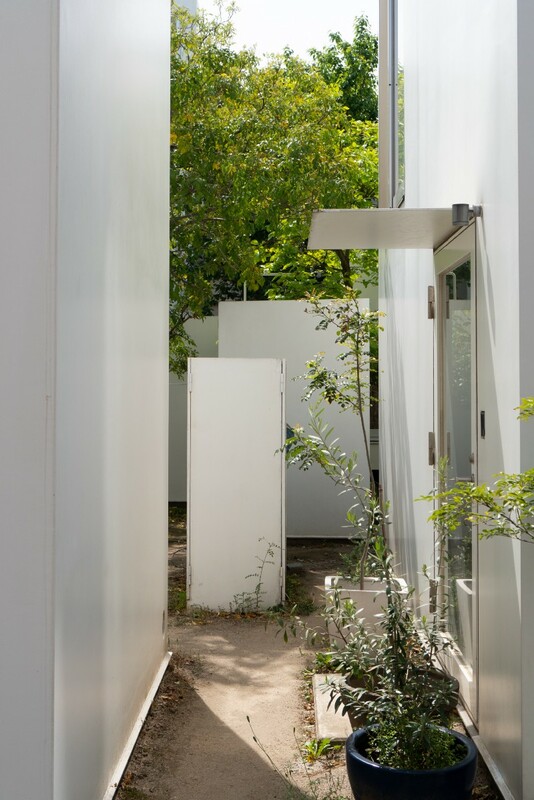 Both are highly influential buildings, produced in the early twenty-first century, and both now exemplify for me the most interesting forms of urban architecture, of housing, or urbanism; the sense that “architecture and the city are seamless”, as Ryue Nishizawa, architect of the Moriyama House, has said elsewhere. And thus, public and private, individual and collective, personal and shared are part of a more complex continuum than is traditionally understood, at least in ‘the West’. The emphasis on the collective — through a rediscovery of public realm, of communal and cooperative buildings, of buildings like this, of participative urbanism, of urban technology enabling collective networked organisation, infrastructure and services as never before — could be the essence of the future contemporary city, balancing richer notions of private and personal with more sophisticated forms of shared and public. 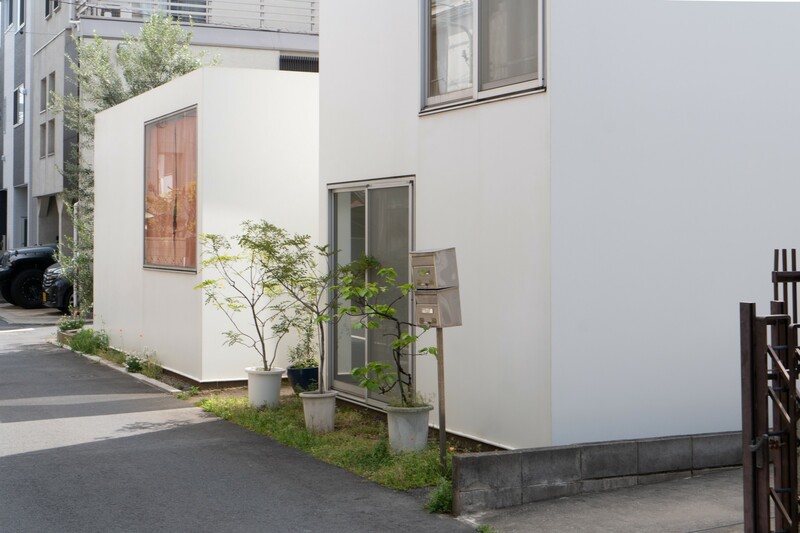 Somehow, in these small, relatively humble houses may be the answer, the alternative, to the individuated urban development of the late-twentieth and early-twenty-first century city. 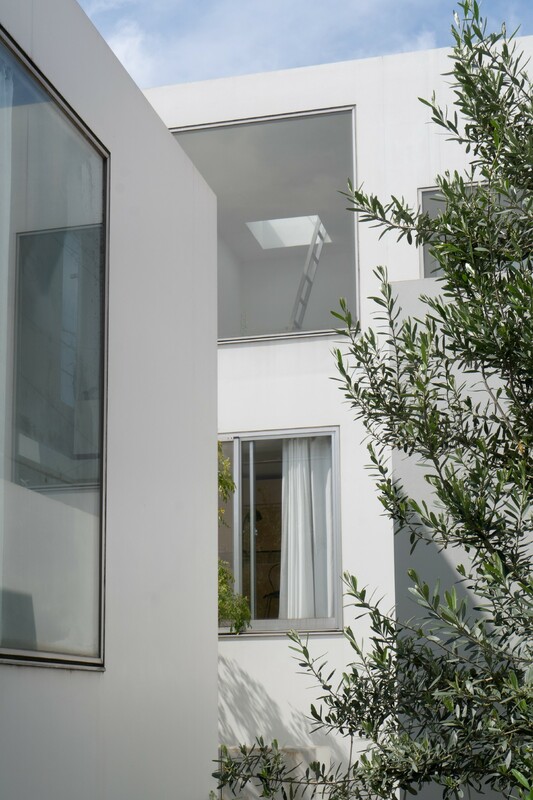 The main focus is on the people who live in the city, and the spaces are based on the notion of collective forms for them. A basis for collective living (=the reason for the existence of a city) is something for which there is a serious need in contemporary society. 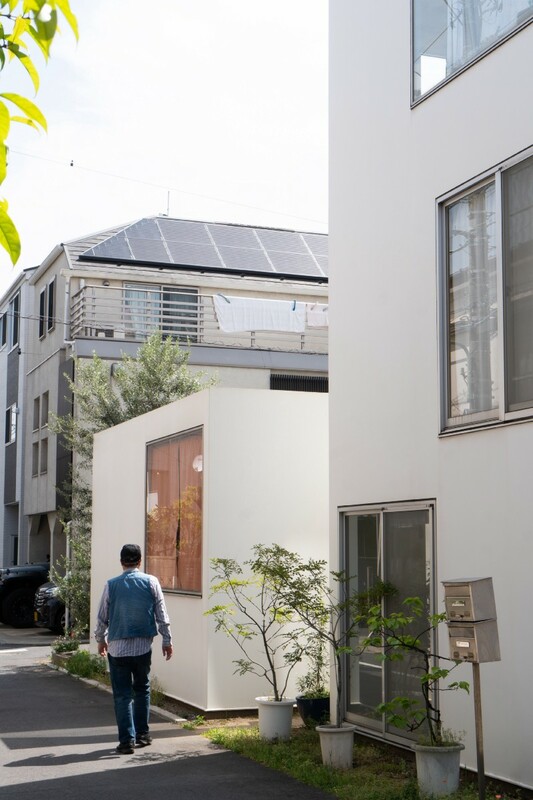 The state of the city’s smallest structural units, the houses which support people’s lives in Tokyo, is undoubtedly changing in order to provide the optimum solutions. 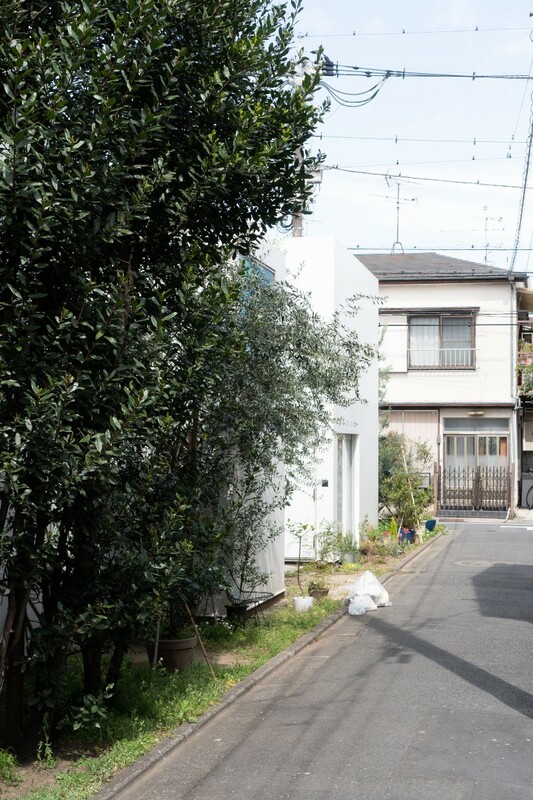 Through the small, personal matter of dwelling units, the city, with its dual extremes of massive authority and capital, seems to be undergoing a grand reorganization. 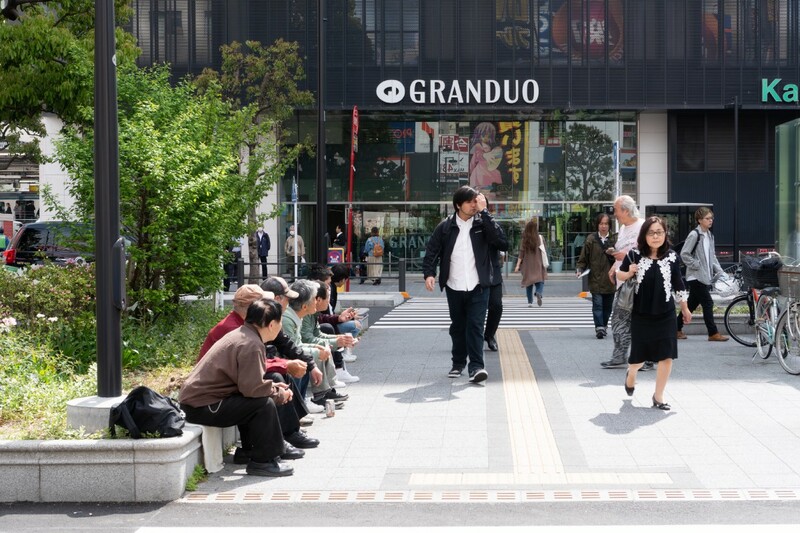 This “grand reorganisation” thus happens at the scale of individual houses, rather than the overblown, grandiose developments seen in other world cities, such as New York’s Hudson Yards or London’s Nine Elms. 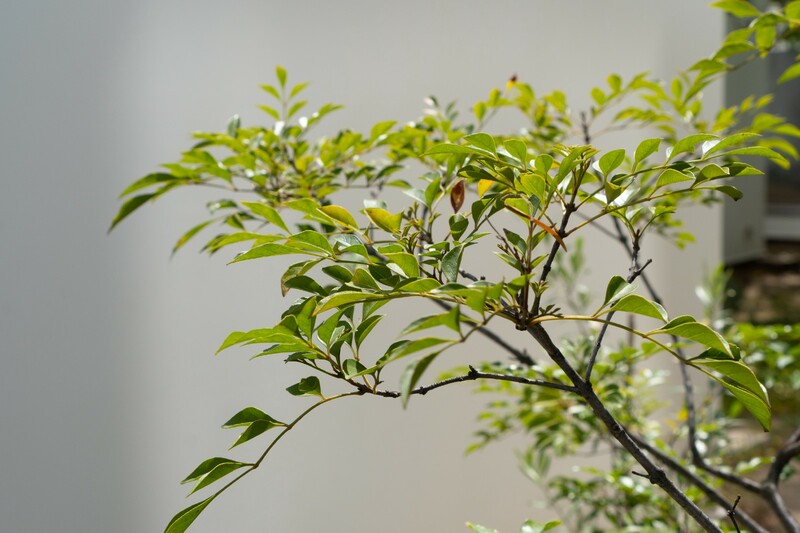 It is far more complex, sophisticated, interesting and arguably human as a result. 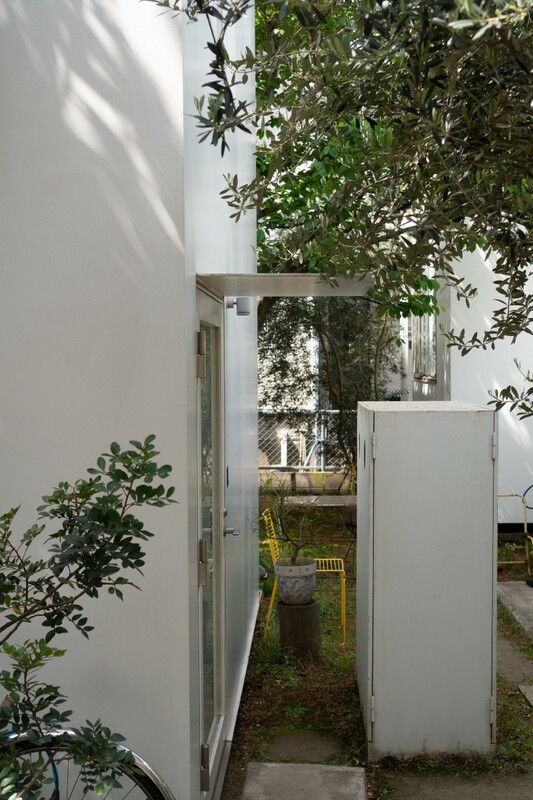 Whilst Fujimoto’s House NA was perhaps the more immediately beautiful, in terms of a traditional architectural reading of light, mass and materials (though there is far more to it than that), Nishizawa’s Moriyama House was perhaps the more conceptually adventurous, formally. 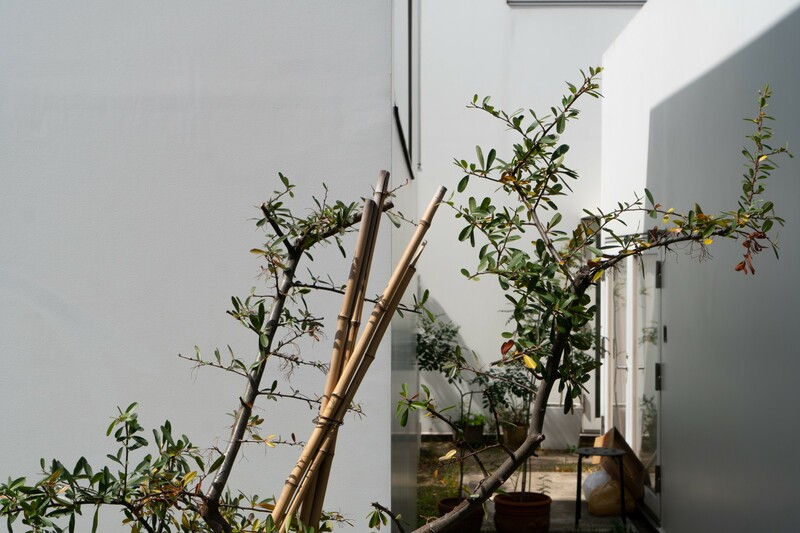 Both houses melt into their immediate environments, though Nishizawa’s does so through its fundamental formal organisation as well as through its transparency, and its material choices. 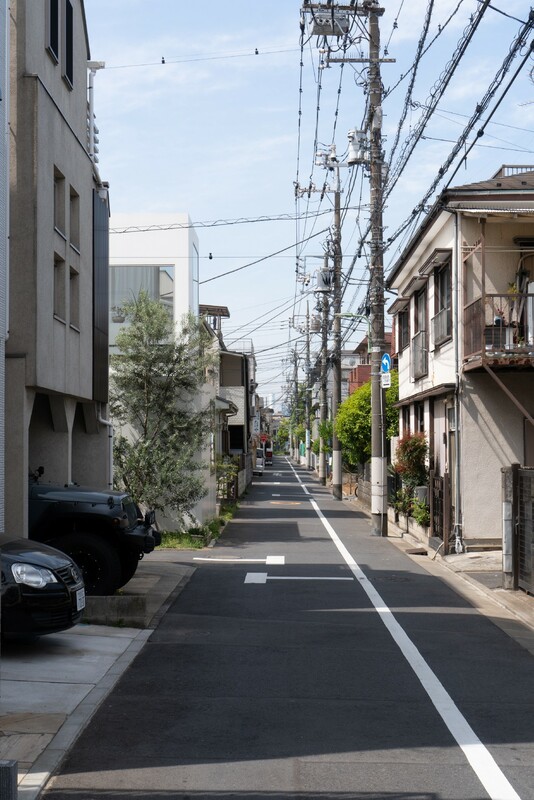 By disaggregating itself into multiple pieces, it feels fused into the city around, emerging discreetly from the quiet streets of Kamata, such that you almost walk into it before noticing it. As with almost everything else in that book (“The city sinks of defeat. The city is on its knees.”), much has changed since then. 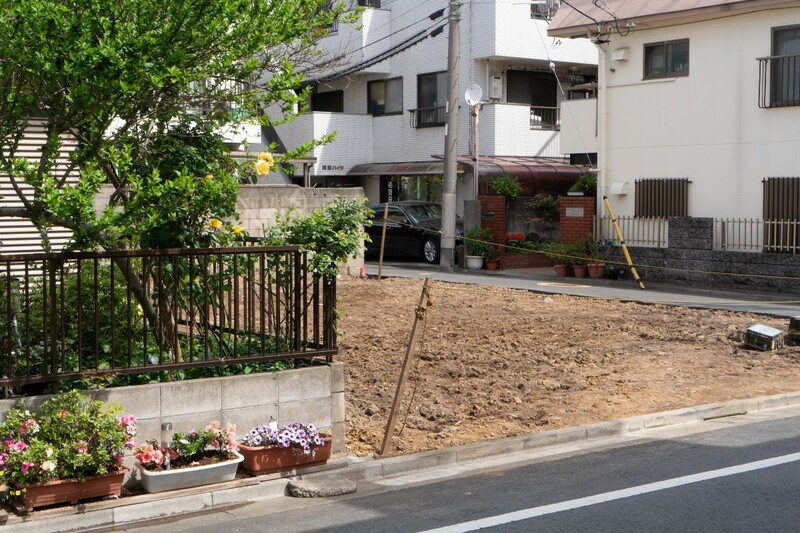 Nishizawa talks about how he examined this quieter end of the district, walking around it before designing the house. As the area was originally arable land, the roads crisscross in a vaguely haphazard way to produce a strange pattern that is neither entirely random nor gridlike. 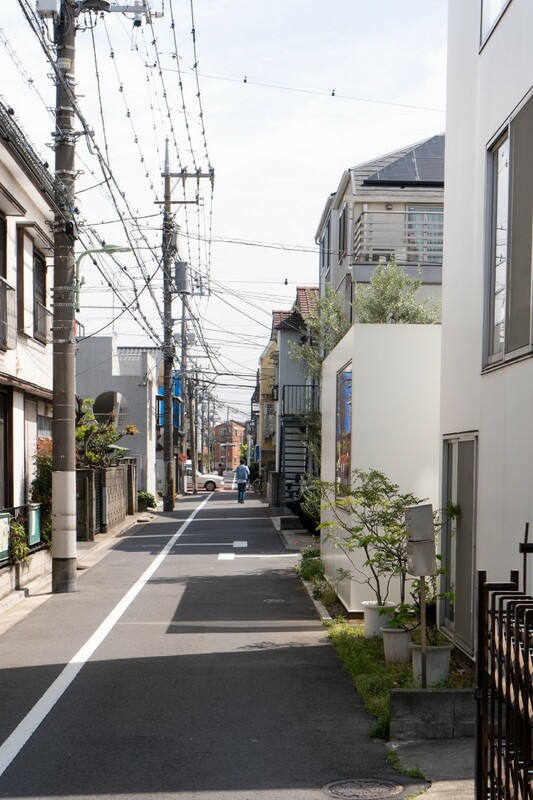 The alleys and roads are attractive spaces that convey a sense of the local residents lifestyles. 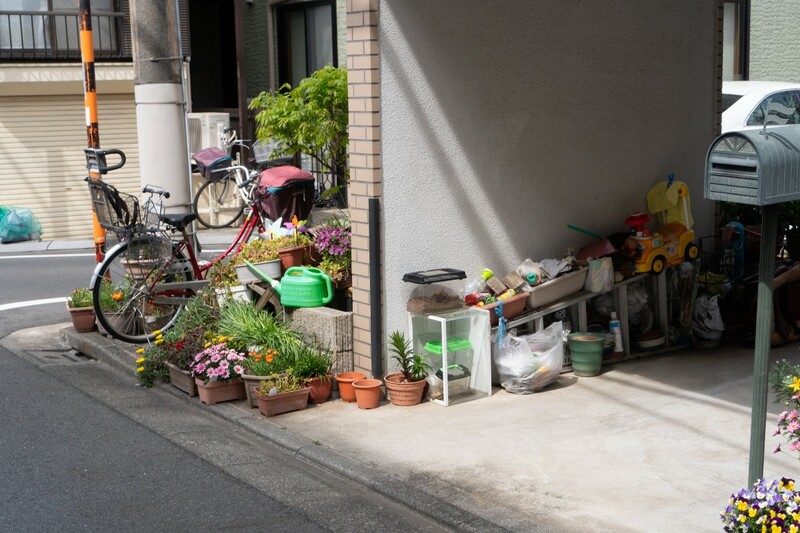 When you do finally chance upon the house, it’s immediately extraordinary, yet in the most humble way — again, in line with the extremely pleasant, everyday jumble of streets around it, somehow highly ordered and complex in that distinctly Japanese way. 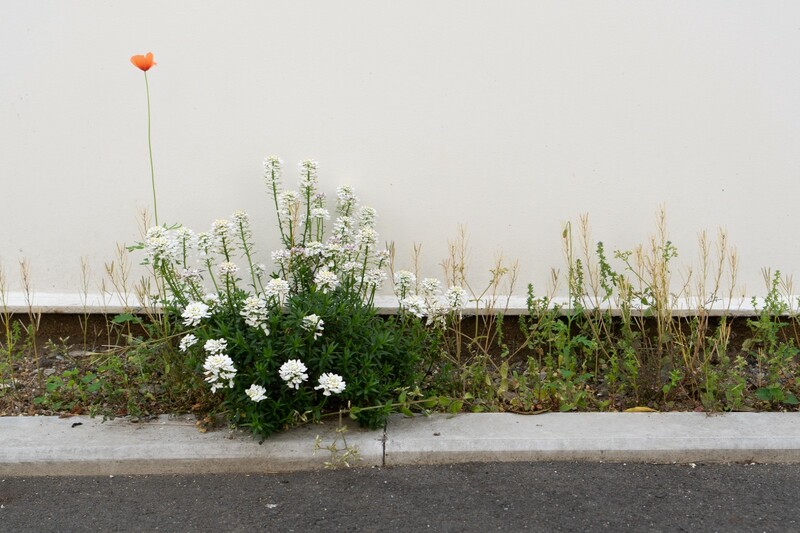 It’s not easy to spot at first, so easily does it blend in, but then its brilliant white cubes gently lift it from the street around. 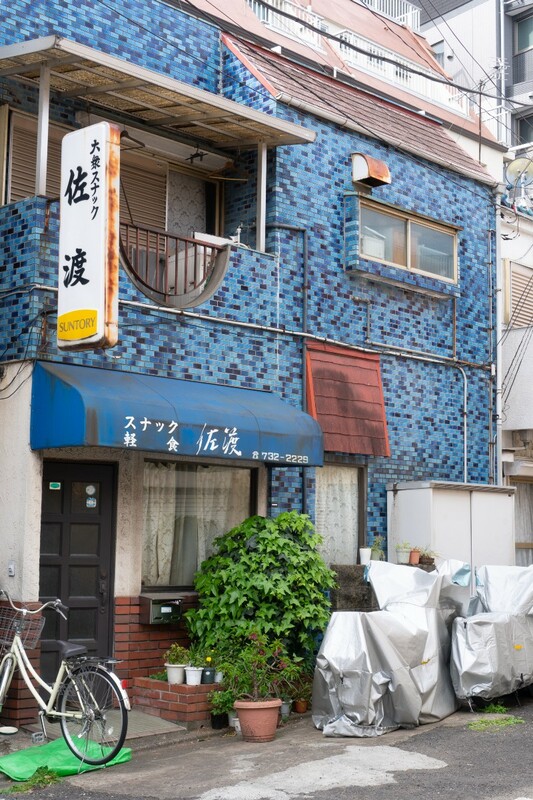 Various views of the Moriyama House, from the streets and alleys around. 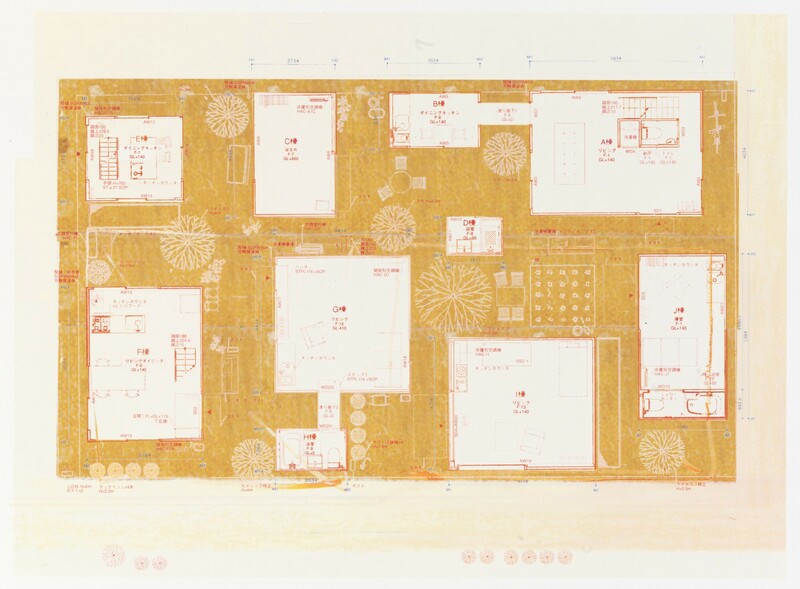 The house is actually a small complex — perhaps in both senses of the word — a cluster of ten discrete units of various sizes distributing various functions, with garden spaces threaded in-between, with no formal borders to the street or passageways around. 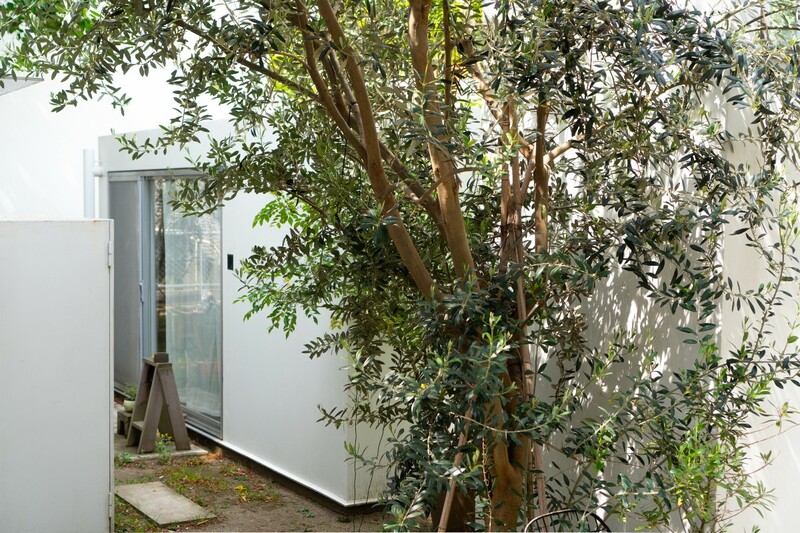 The units range in scale from a slender three-storey ‘tower’ down to the scale of the body, the smallest housing only a shower. 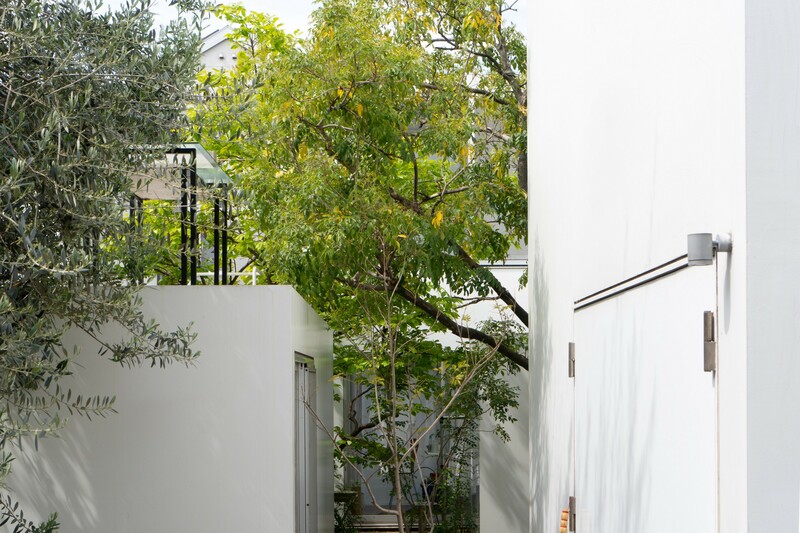 The spaces between the boxes feel as important and as occupied as the boxes themselves, although there is a genuine sense of space, air, and greenery blowing through these gaps—activity and greenery occupy the spaces inbetween as much, no doubt, as within. Rooftops are also occupied. 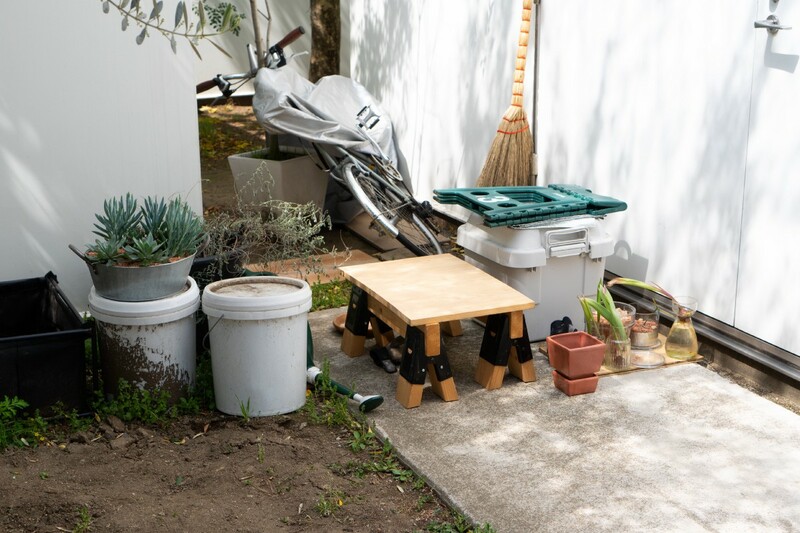 A table and chair sits on one of the medium sized elements. A ladder is glimpsed through a window leading to the roof of the tallest. 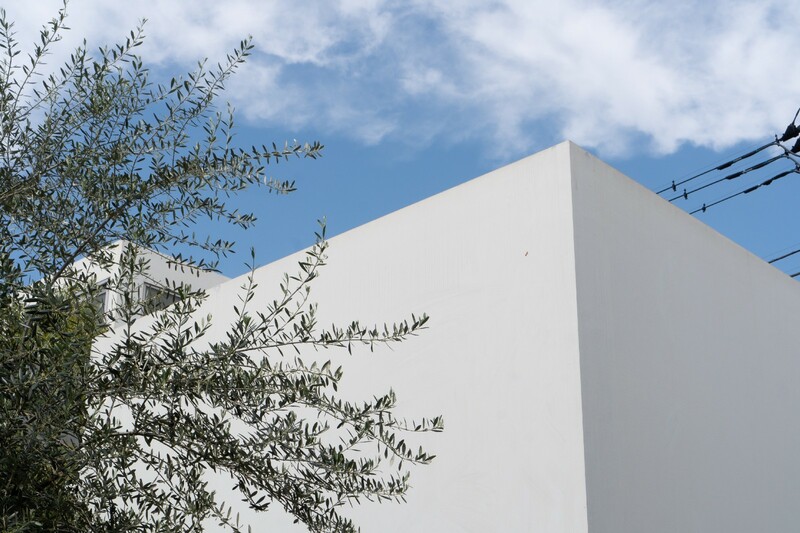 The owner, a local, had decided to stop working (there’s a film by Ila Bêka and Louise Lemoine about the owner and the house) and wanted to be able to rent out individual elements while living in others. What is this? 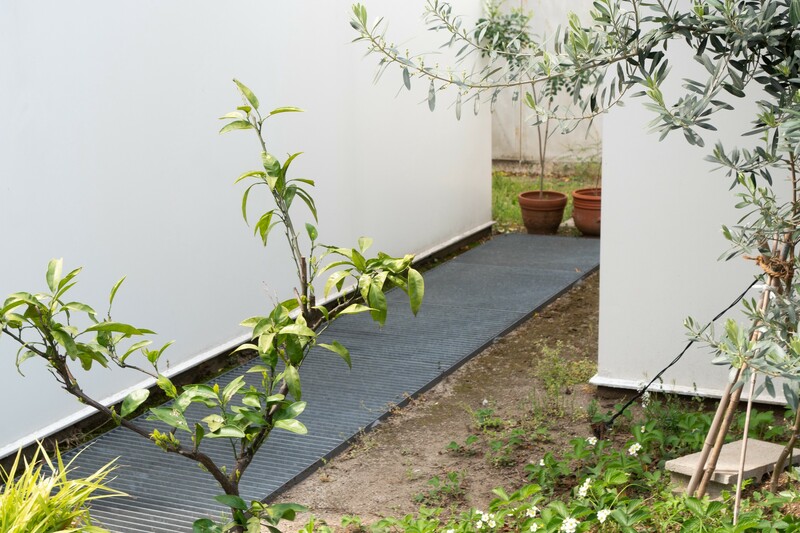 A new kind of living landscape, a stage set, a house whose corridors are unroofed? Or a small city with room-size houses? 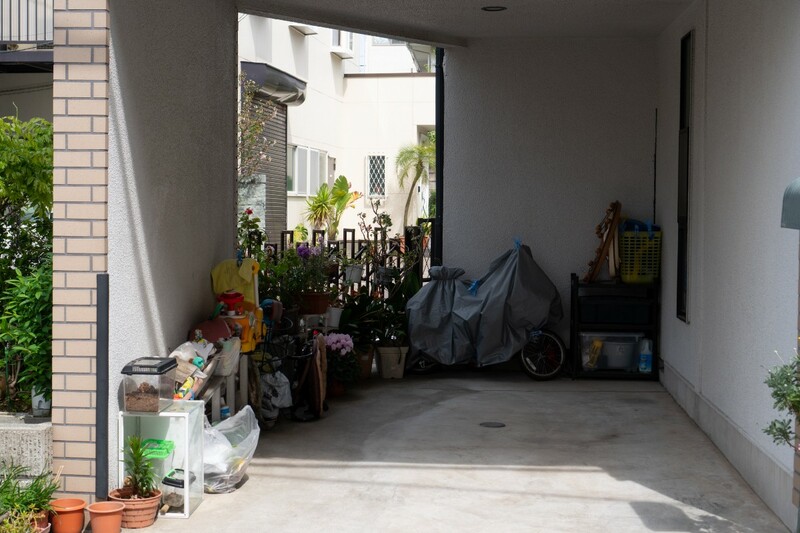 For the first time we are in a living community, a commune that works—because it wasn’t squeezed into the wrong architectural form. 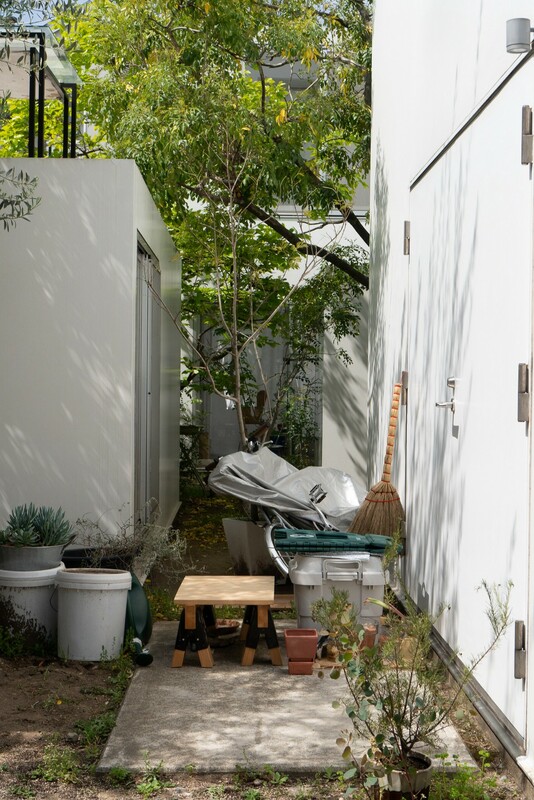 When I visit, a couple of chairs have noticed propped on them: one pointing out where not to take photos from (a neighbour’s private space), and another asking not to walk in. 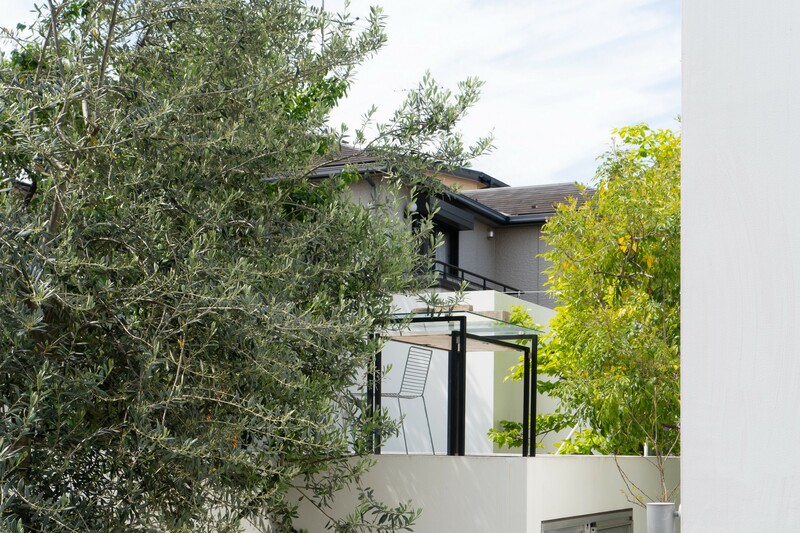 Clearly the principles of transparency are difficult to manage once a house achieves fame to the extent that people like me make a beeline for it. 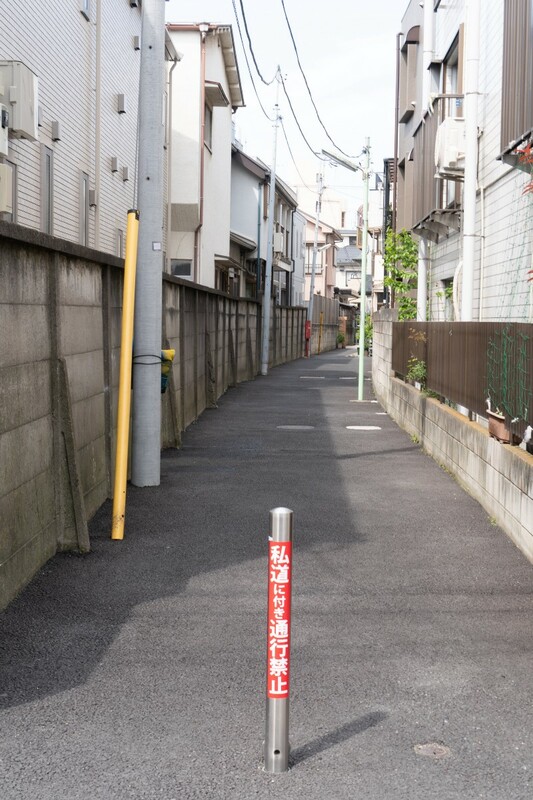 Without foreign tourists, I imagine the notices would not be required, given the way the neighbourhood around appears to work to similar principles, and Japanese culture’s ease with complex divisions of public and private. 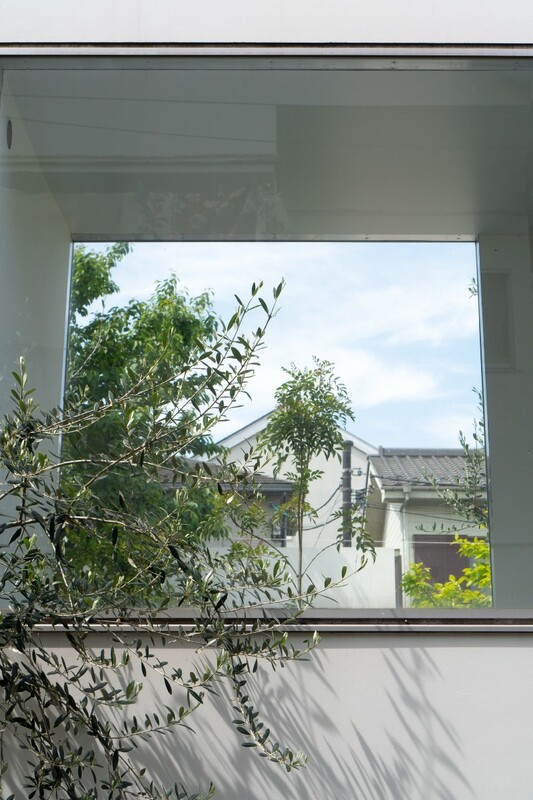 Light bounces around from its large glass plate windows and walls, the trees and bushes offset and blur the edges of the boxes beautifully, the large windows frame views as a Kyoto temple does. It’s delightfully difficult to photograph, as you can’t really stand back from it, nor can you get into it; it’s both opaque and transparent. But every glimpse, every angle, is rewarding. 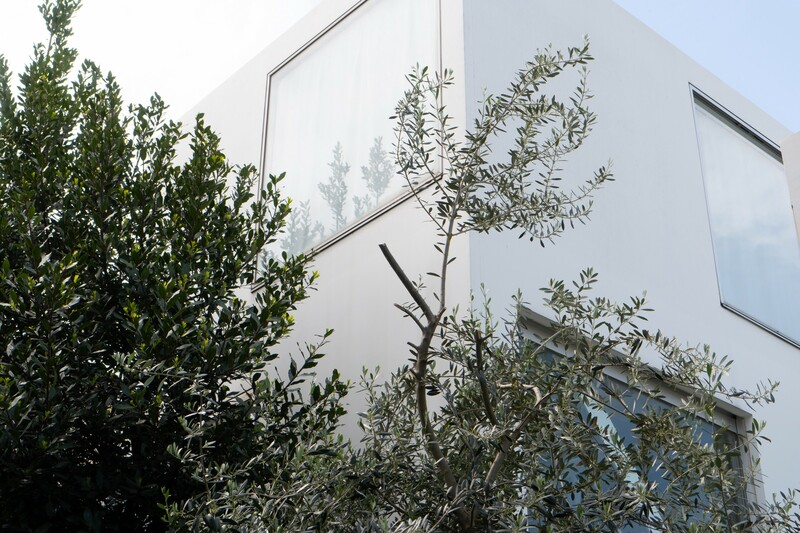 Those blank white boxes, and delicate drapes in windows, focus the eye on the spaces in-between: the trees and their shadows, the little objects placed around, like stools, chairs, boxes and tools, the structures and spaces of the surrounding houses. It’s quietly beautiful. 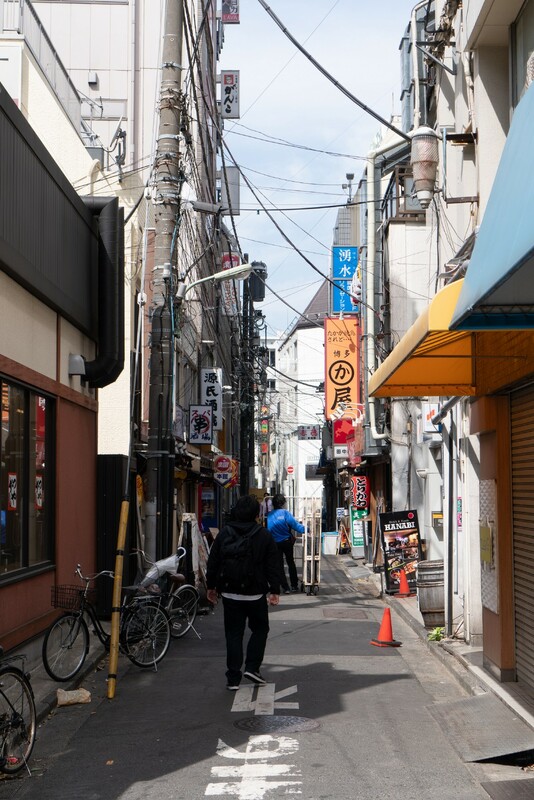 Though the city is the site of economic activity, the majority of its space is taken up with living places … In contrast to cities of the past that were shaped by tremendous administrative and financial power, Tokyo has the potential to create change in the city through the quiet accumulation of urban elements rooted in daily life. 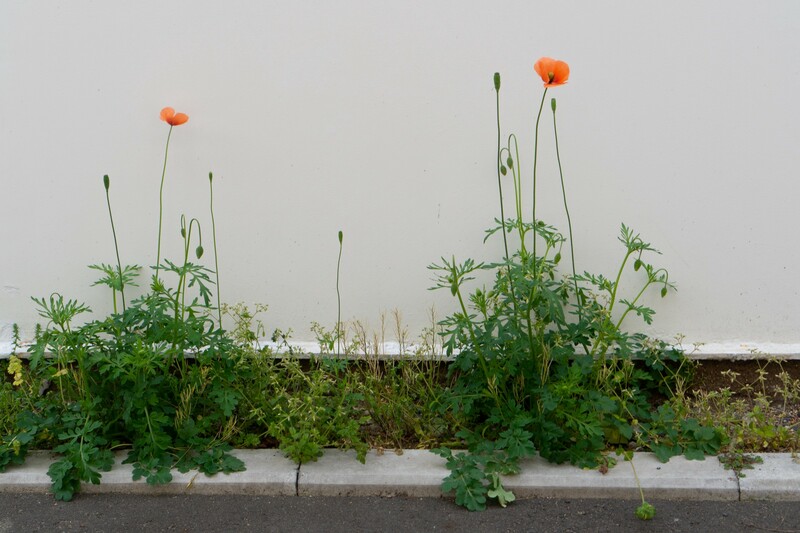 A democratic city can be realised because there isn’t a hierarchy or class system, and the landscape of the city itself somehow appears to be a community or a group of people. Like a collection of living organisms, it is an extremely organic landscape, and that’s something I rate very highly. 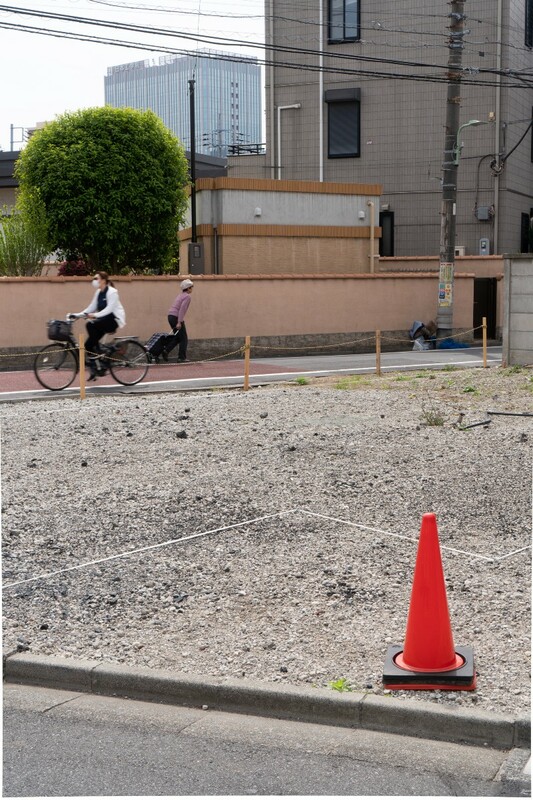 This tradition of continual redevelopment can clearly be seen as highly unsustainable in terms of material and carbon (just as with Archigram’s ‘Instant City’, which Nishizawa refers to at one point in the interview, with a laugh.) 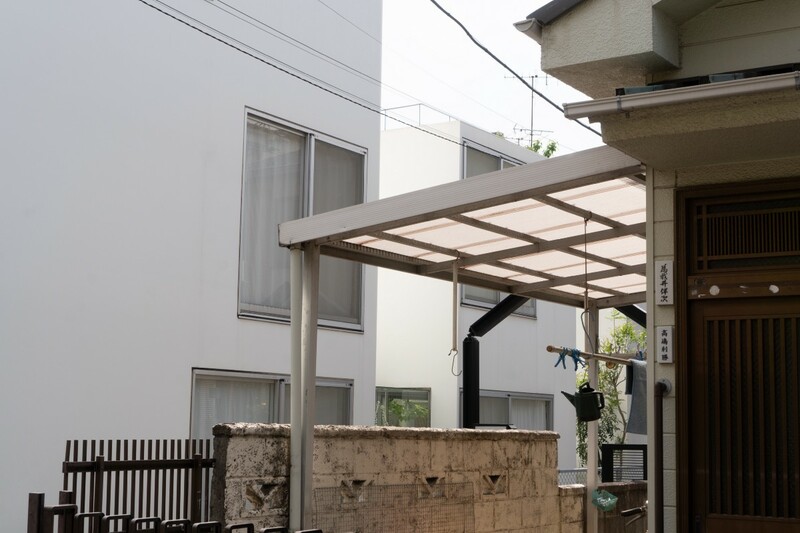 And there is no doubt that this ‘replace rather than repair’ model would have been, until recently, problematic in terms of material use, for all of its cultural advantages. 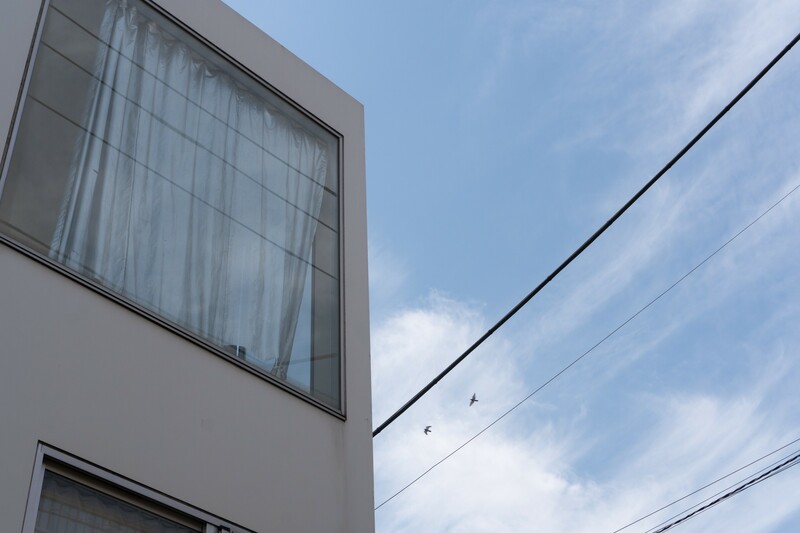 Casey Mack’s critique of Maak’s Living Complex at Avery Review is also a critique of House NA and Nishizawa’s Moriyama House by extension, and especially these particular architectural qualities, qualities which Maak sees as so valuable. 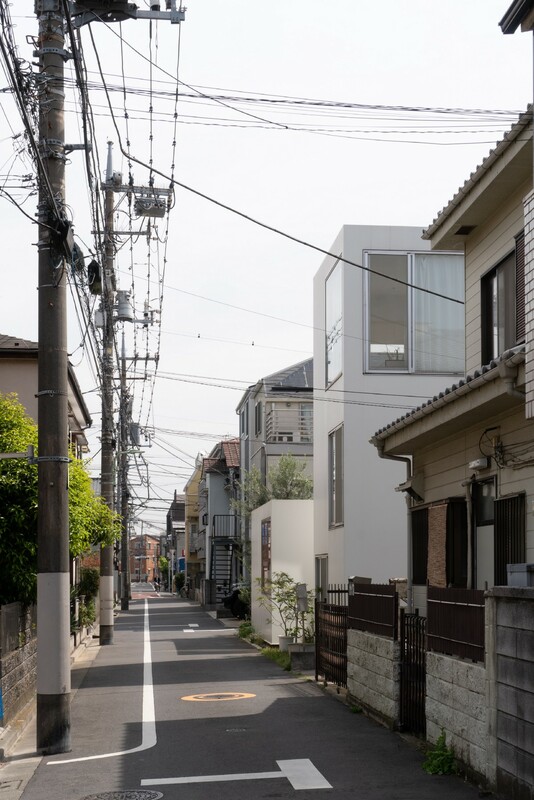 Perhaps sitting within a Western context of property-based wealth — and ignoring all the attendant issues that creates — Mack sees little advantage to the way that Japanese houses lose value as they age, and apparently necessitate replacement. 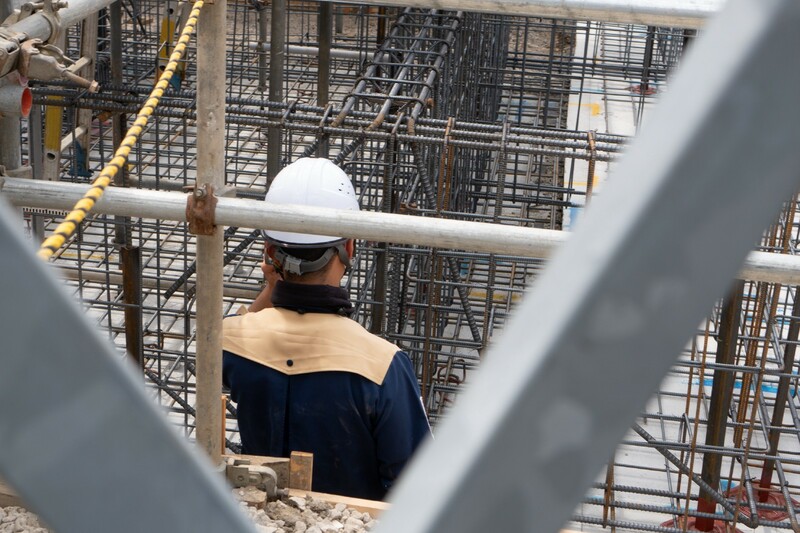 Although we might agree that completely rebuilding every few decades unthinkingly can only be unsustainable, despite its cultural advantages, Mack doesn’t want to see that we need not throw the baby out with the bathwater. 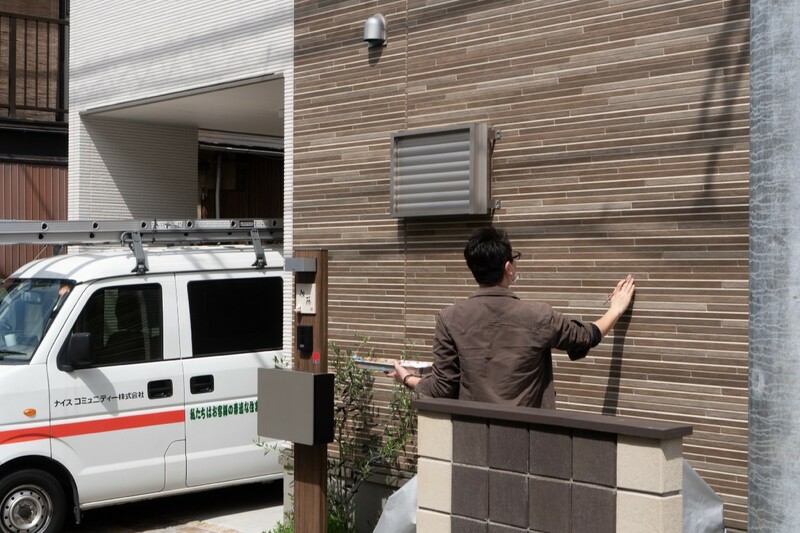 He notes with implicit approval the Japanese government’s recent tax incentives to “steer the country away from scrap-and- build practices by encouraging the construction of durable, adaptable, and energy-efficient housing as defined by design guidelines whose specifications are purported to result in houses that will stand 165 years longer than the current national average of thirty-five.” While the intention to be “adaptable and energy-efficient” is absolutely correct, the real question would be how to achieve these outcomes whilst retaining an architecture with the plasticity to drive cultural change. 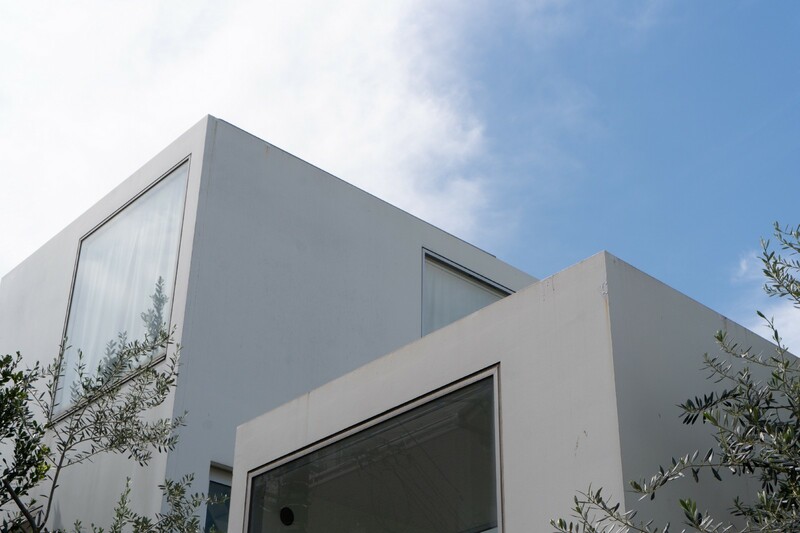 We often use Stewart Brand’s (really Frank Duffy’s) pace layers principle in our work, but the inability to let buildings move at the rate of social and cultural layers in a European or American context denies a great deal, not least the ability to better tune a building to its occupants. 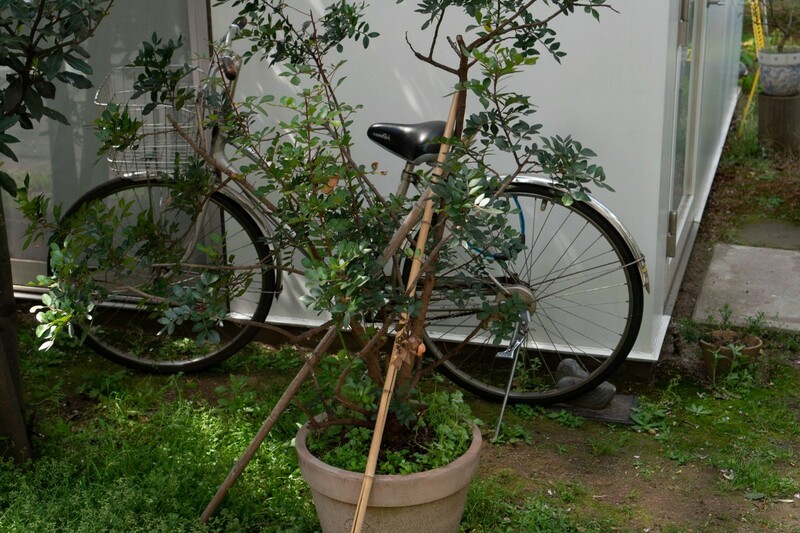 Yet in Tokyo, as Nishizawa points out, it’s possible to do just that. I think that European cities introduced an ‘unchanging model’. Within walls, they created cities out of stone that could be maintained for longer than a person’s life. They believed that if you’re going to accommodate people’s lives, you can’t keep changing the forms every day. On the other hand, Asian cities are based on a model of ‘change.’ This is true not only of Japan, but also of Hong Kong, Taiwan, Vietnam, and all of Asia. 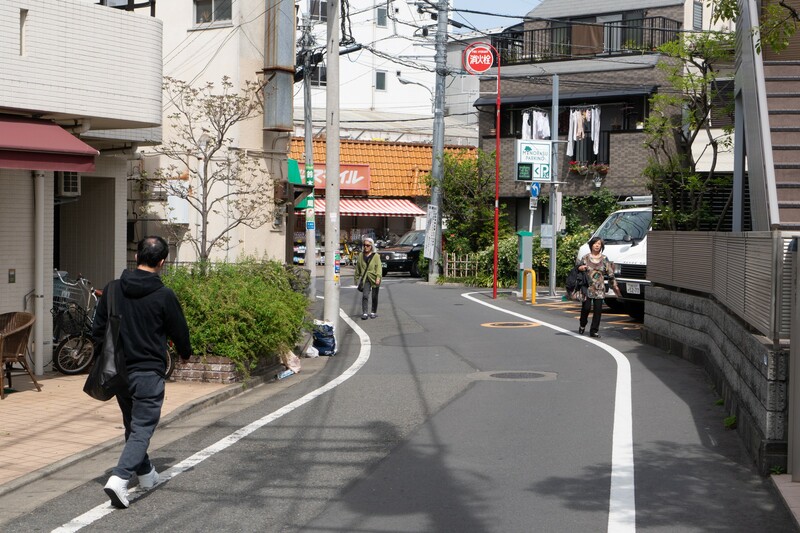 People’s lives change, and values do too, and because they change, the idea that a city that supports them should also change rapidly is indicated by its form. 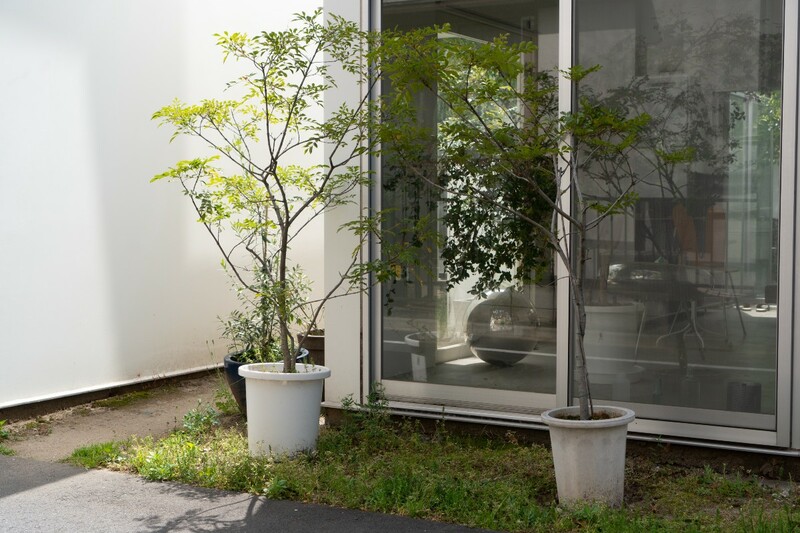 Certainly this sense of culture is key to several of Nishizawa’s principles for Moriyama House. 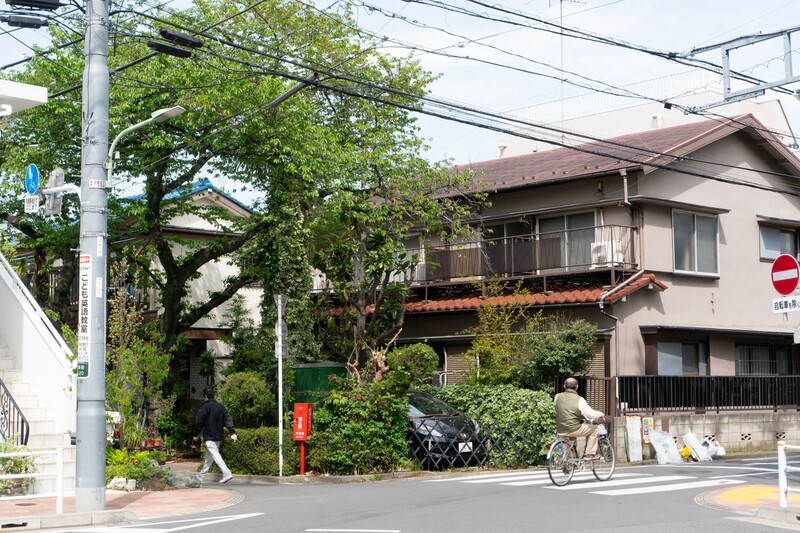 In fact, almost all of Nishizawa’s design principles, listed in Tokyo Metabolizing, are immediately visible. 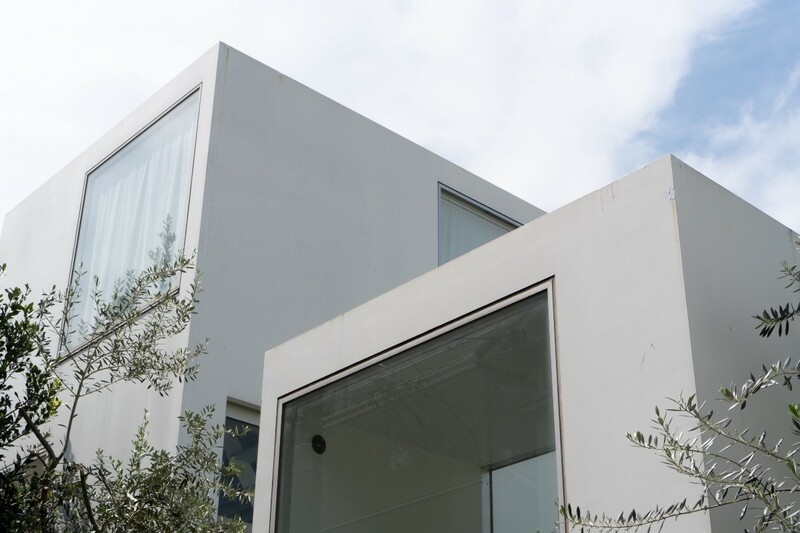 These include: dismantling; smallness; acentricity; transparency; the creation of an environment; multiple tenancy/density; and the absence of borders. 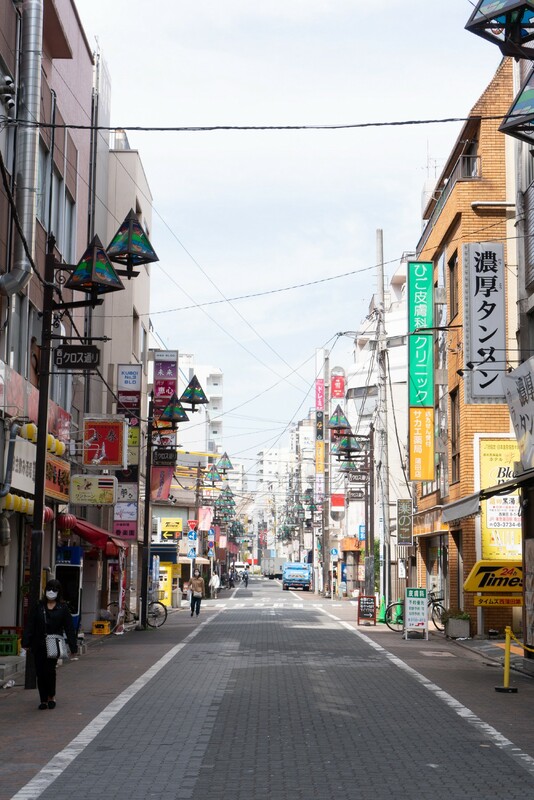 Nishizawa’s principles, played out in the surrounding neighbourhood. 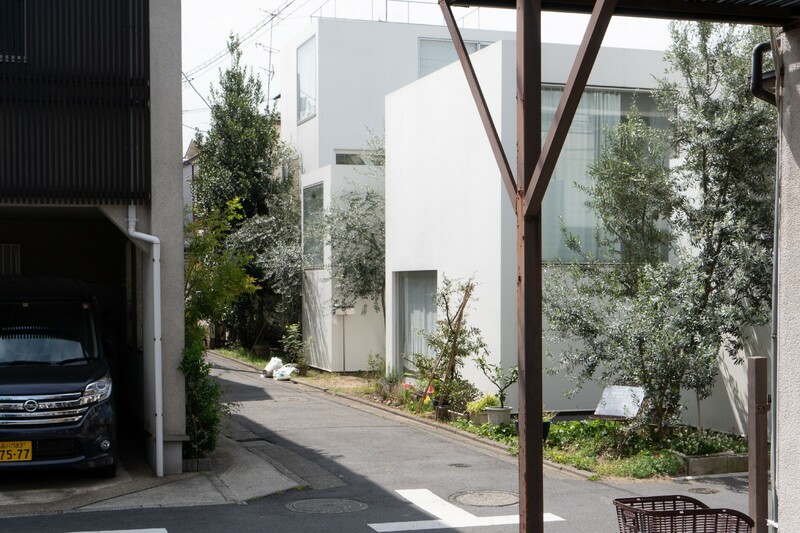 It’s as if Nishizawa has read the organisational ‘structure of feeling’ of the neighbourhood, and “simply” played that out in architecture at the scale of a building. 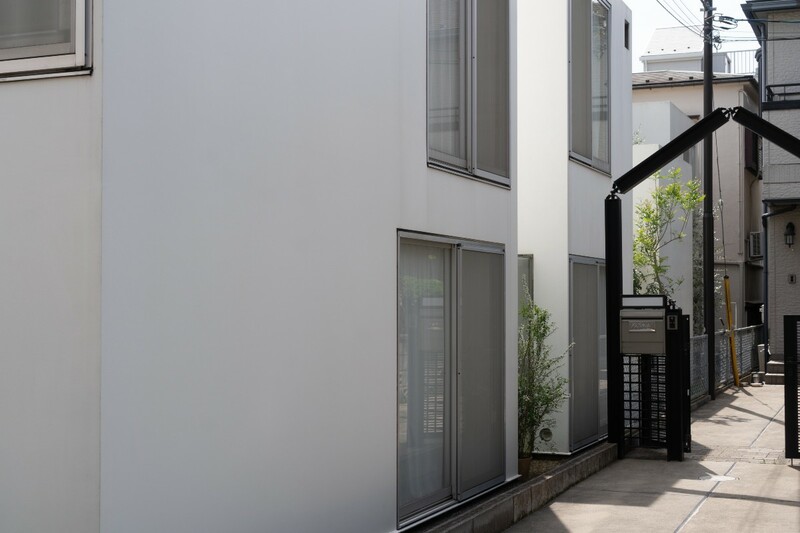 I say “simply” in inverted commas as this is no mean feat, clearly, as many of the buildings in the the existing neighbourhood have few intrinsic qualities in terms of built refinement, and are in effect the single boxes that Nishizawa states he had little interest in. 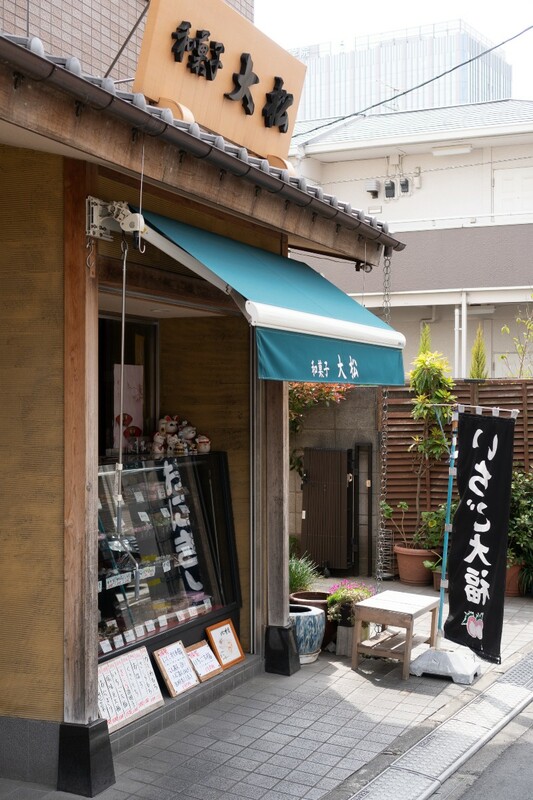 Nishizawa has instead created a subtle jewel of a building, or cluster of buildings, which both draw from the fabric of the surrounding neighbourhood and move that fabric forward. 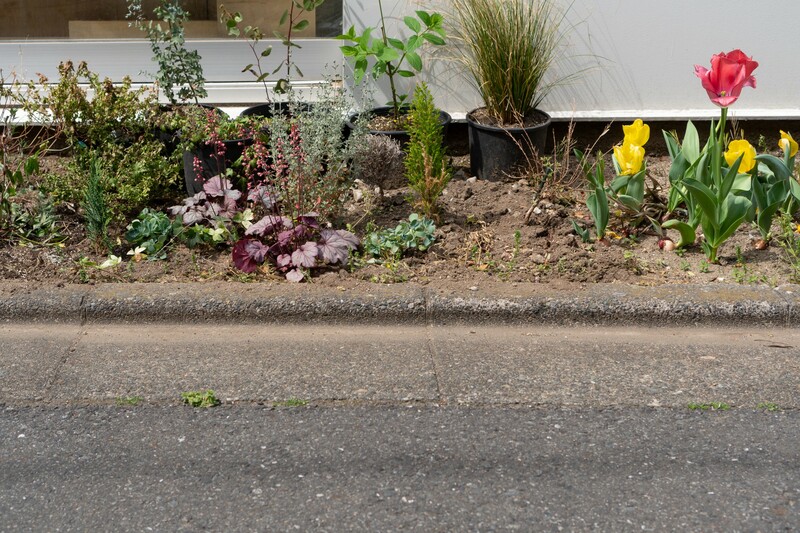 It shares the neighbourhood’s qualities and now, vice versa, the neighbourhood can share its qualities. 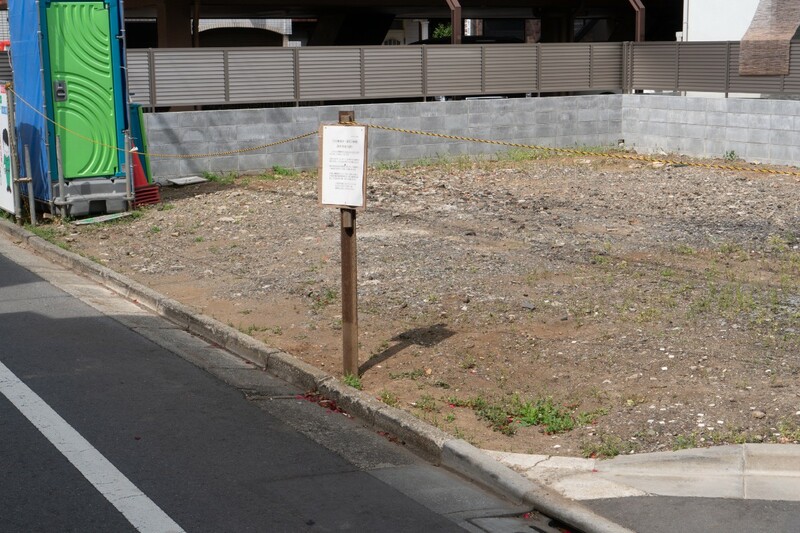 It will be interesting to see if or how Kamata ‘metabolises’ itself in the various vacant plots around Moriyama House, in response. 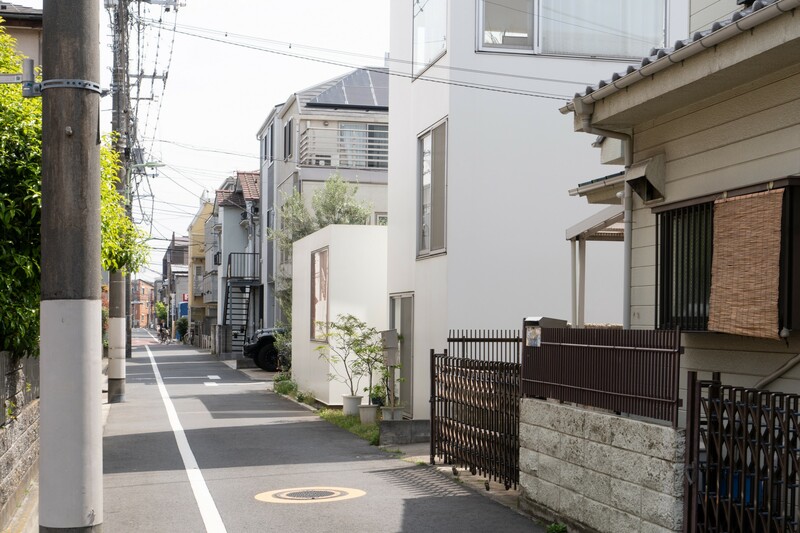 As I was walking around Kamata I thought, the most straightforward way to create a comfortable house is to create an environment … In the end, I started to think that it’s not merely a question of architecture but that’s also important to create an attractive environment. 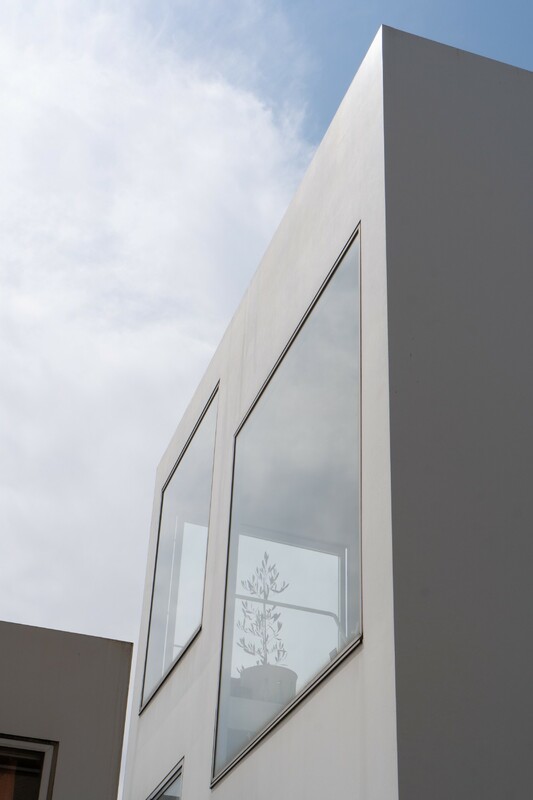 But rather than looking at things from an urban or social perspective, architectural creation ultimately lies at the core of what I do. 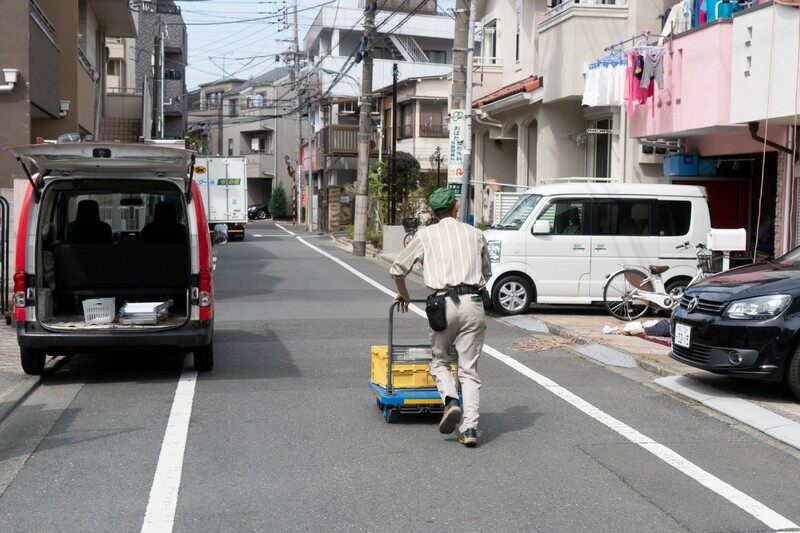 The concept of ‘public’ seems to be non-existent in Tokyo. 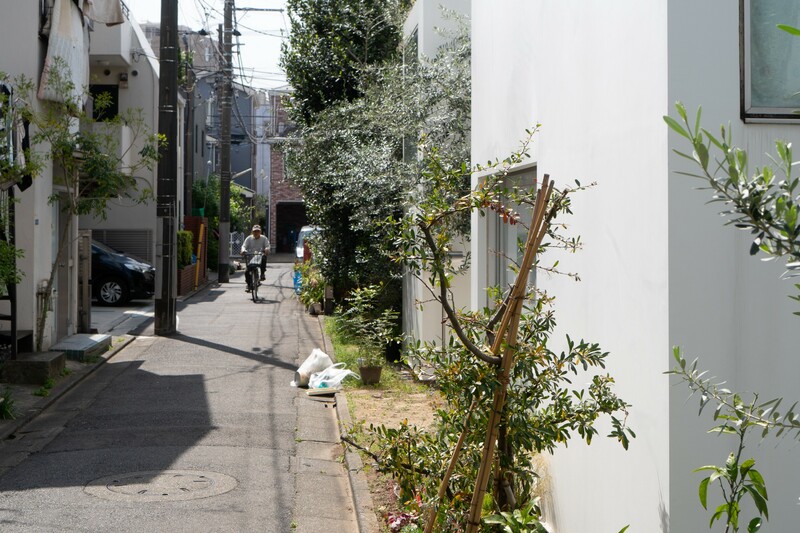 The majority of the land is filled with narrowly segmented, privately-owned living spaces. 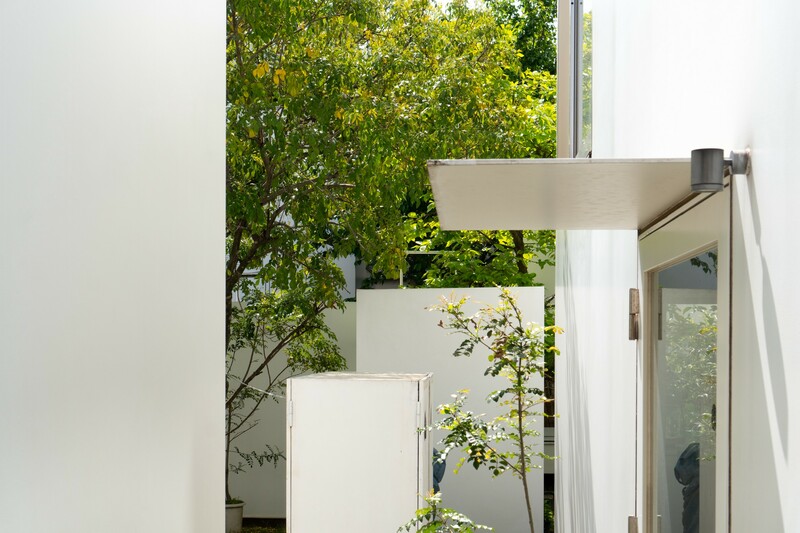 In these residential areas, spaces that anyone can pass through blend together with private spaces, and many of the most private spaces allow a clear line of sight from the outside. 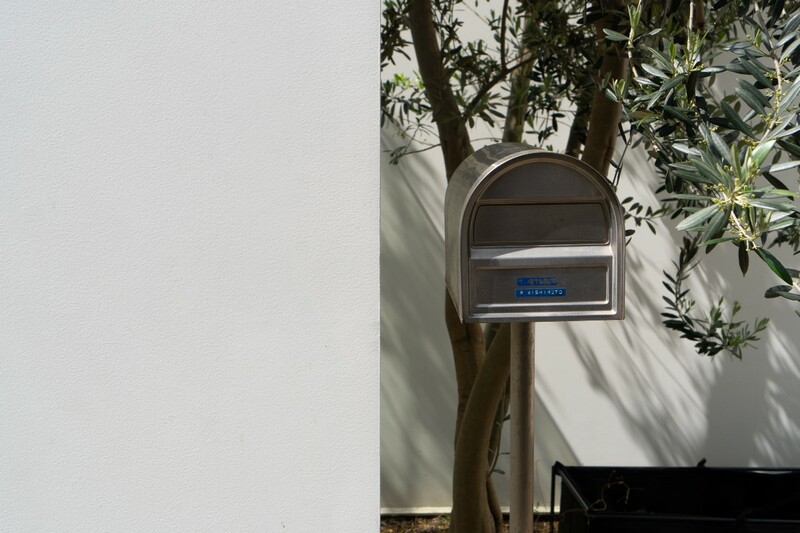 Due to this complicated line of sight, the Western concept of ‘privacy’ has never taken hold. Instead there is a code of behaviour mediated through presence. 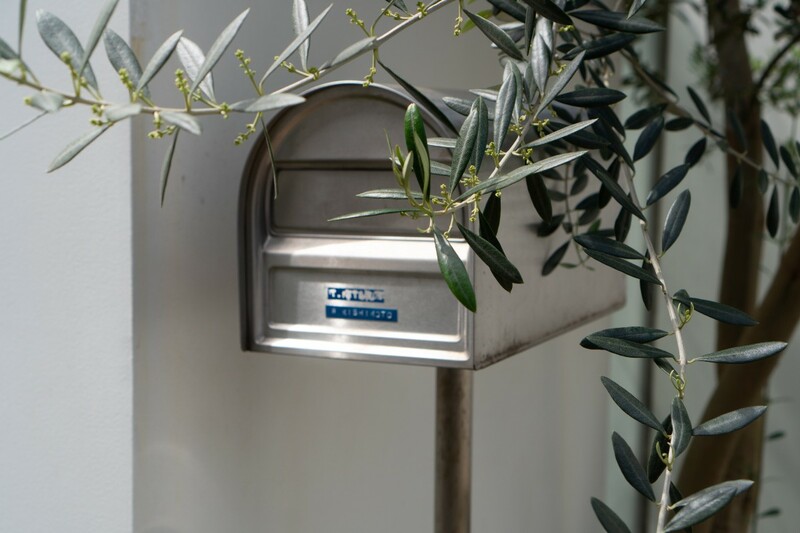 These relationships, in which people remain aware of each other’s existence, is a form of communication that could only be conducted between people in a recognised community. 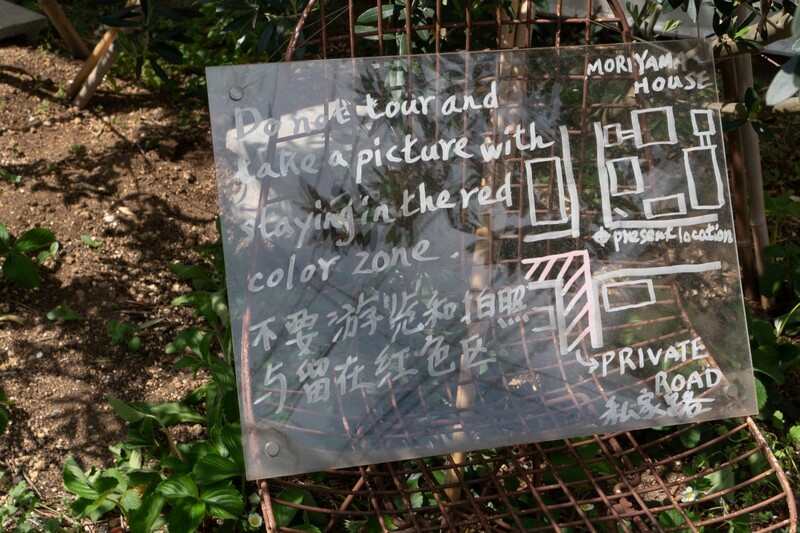 This more complex form of public and private is played out around us with the Moriyama House. While I never quite felt comfortable with setting foot onto the property, despite the lack of any kind of physical barriers, I was able to see right through the thing, almost literally. 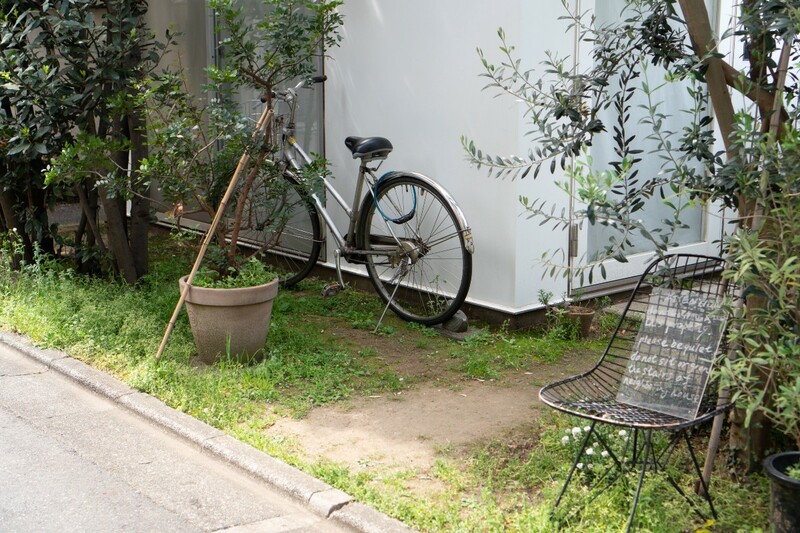 And perhaps if the notices on the chairs — again no doubt present due to encounters with people from outside of the “recognised community” Kitayama describes above — had not been there, perhaps I would’ve felt able to take a step or two inside. Yet the invisible barriers of those “codes of behaviour” were perceptible, and meaningful. I was an intruder here, my presence clearly from outside of the community. 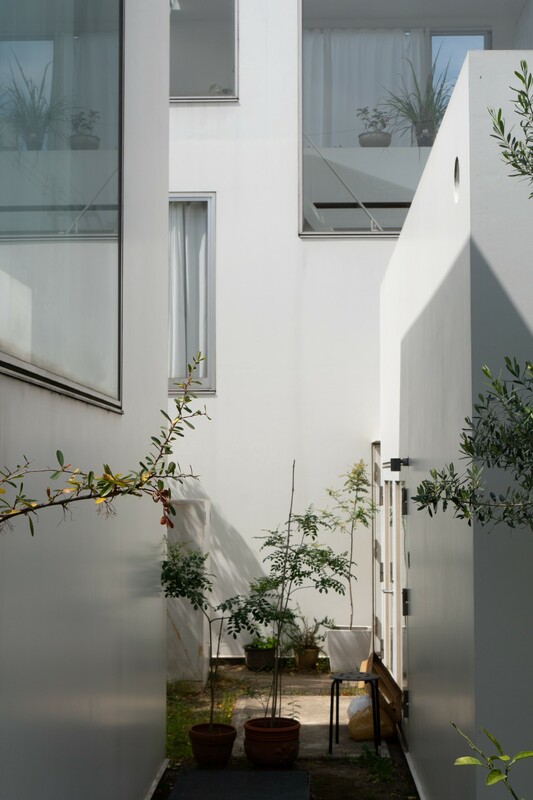 Yet the house remained a delightful offer, a genuinely urban condition as much as a building. 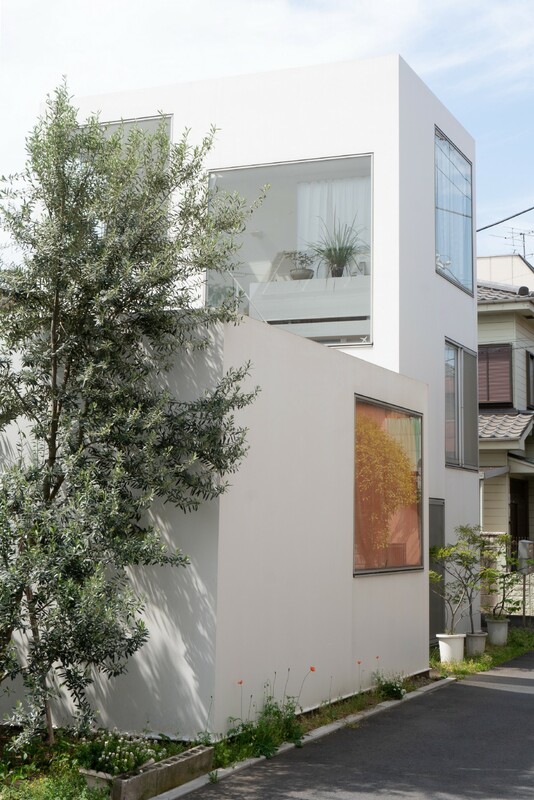 As a ‘fourth-generation house’, to use Yoshiharu Tsukamoto’s model, it is a gift. 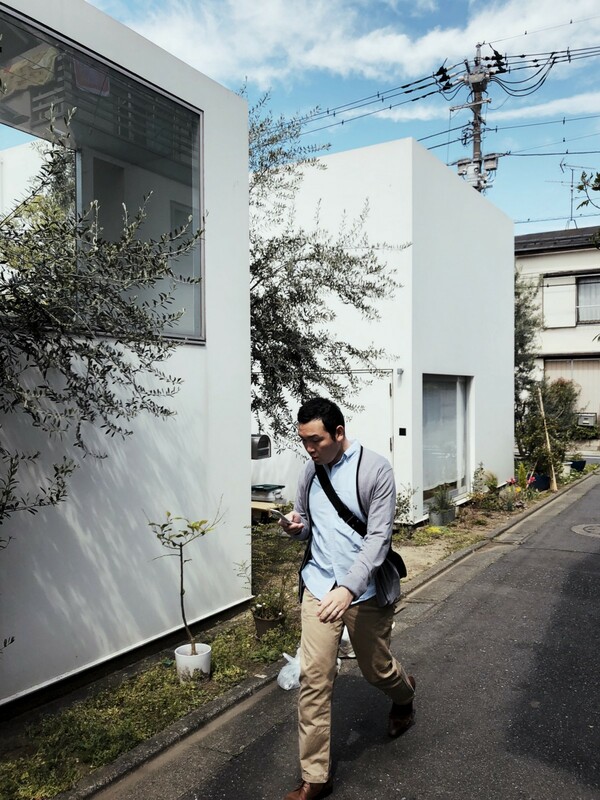 Tsukamoto’s conditions of what such a house should exemplify — 1) bringing people from outside the family back into the house; 2) increasing the opportunities to dwell outside the house; 3) redefining the gaps— are all at play here. 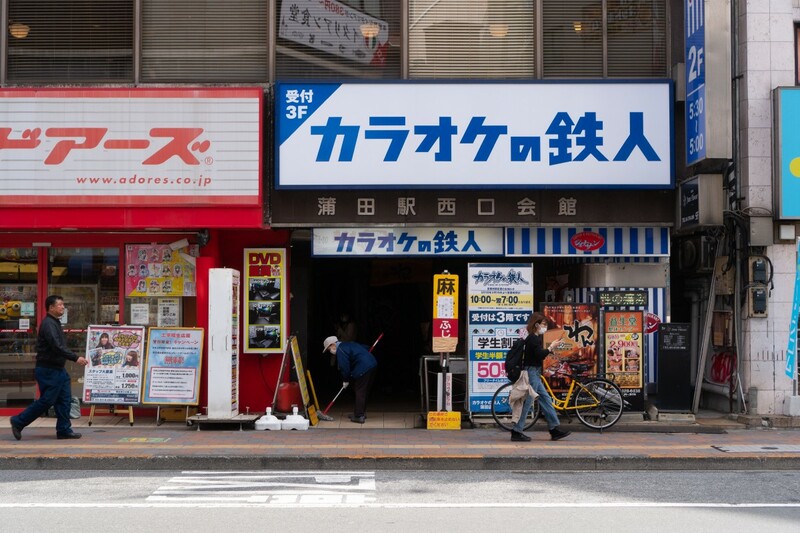 Of course all of Nishizawa’s design principles were clearly visible too, and seemed highly effective. Whilst there was no sign of life from inside during my brief mid-morning visit, it was easy to imagine it lightly and subtly populated, or full of life, for the wedding ceremonies, BBQs and exhibitions that occasionally happen here, or any point in-between. 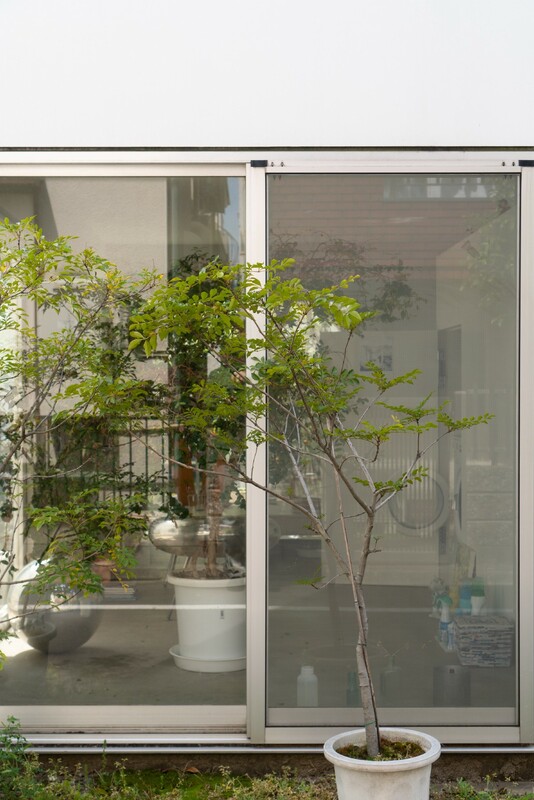 There are many wonderful, deceptively simple touches, such as the blade-like canopy over one of the many ‘front doors’, or the way certain windows align to create lines of sight through multiple units, and enabling interior and exterior to have similar amounts of light, or the blending of garden and structure, or the variety of scales of unit, tied to various functions or left open to reprogramming on a daily basis. 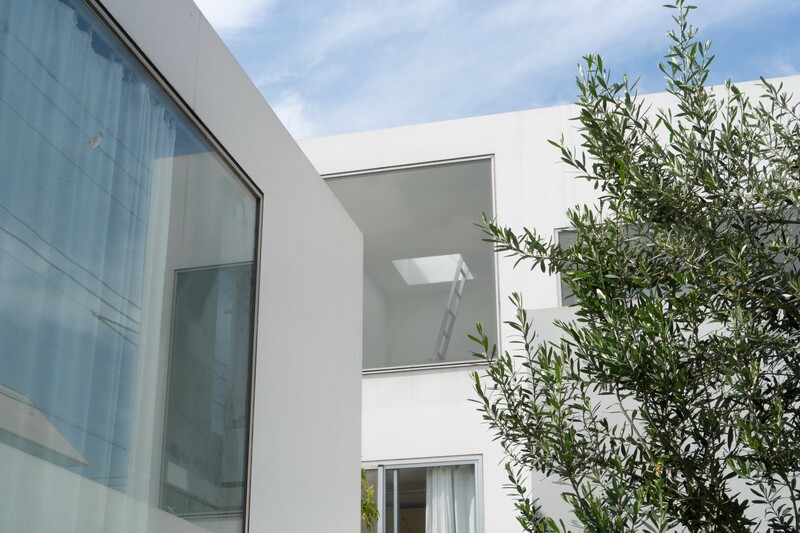 For a house over ten years old, effectively middle-aged, in terms of that expected lifecycle in fact, it feels pristine, thanks to the high-quality construction of smart material choices. 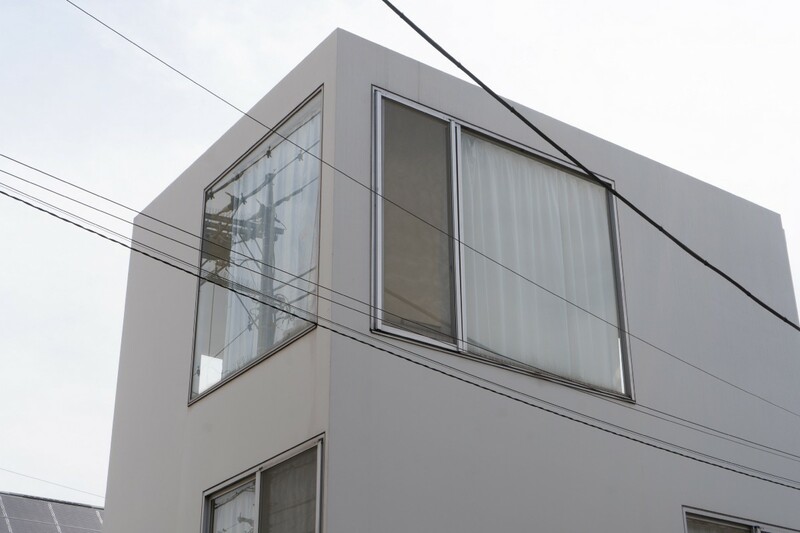 It is weathering better than Fujimoto’s younger House NA, actually; though perhaps the latter’s developing patina is at least somewhat intentional. 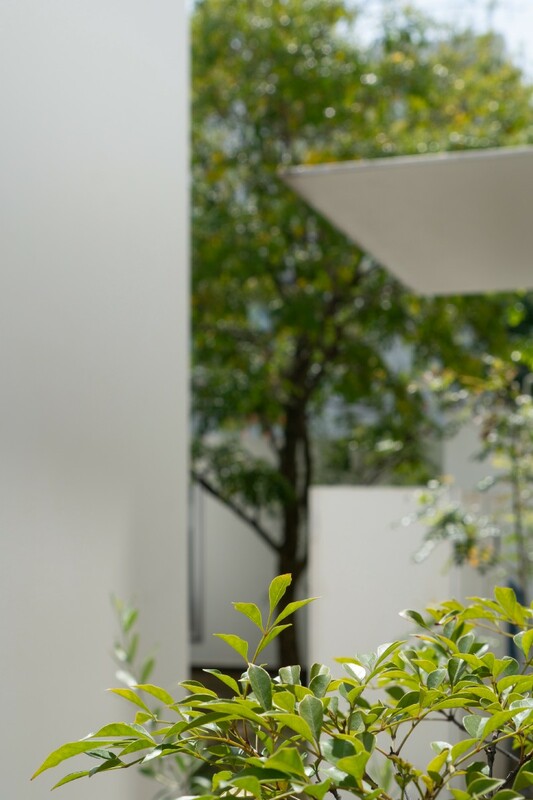 Moriyama House is both genuinely beautiful, in the quietest sense, and conceptually thrilling, in the humblest way. 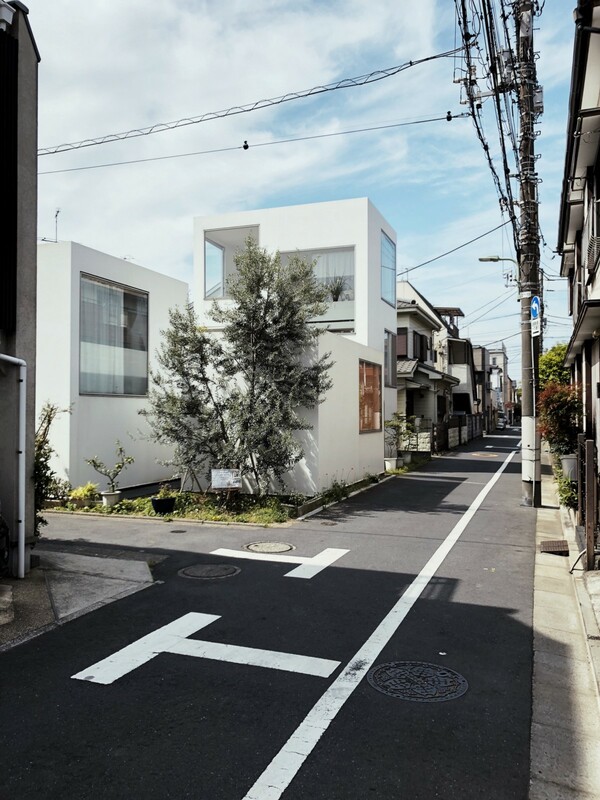 Through this ‘new architecture’, the city of ‘Tokyo’ is slowly beginning to change shape. 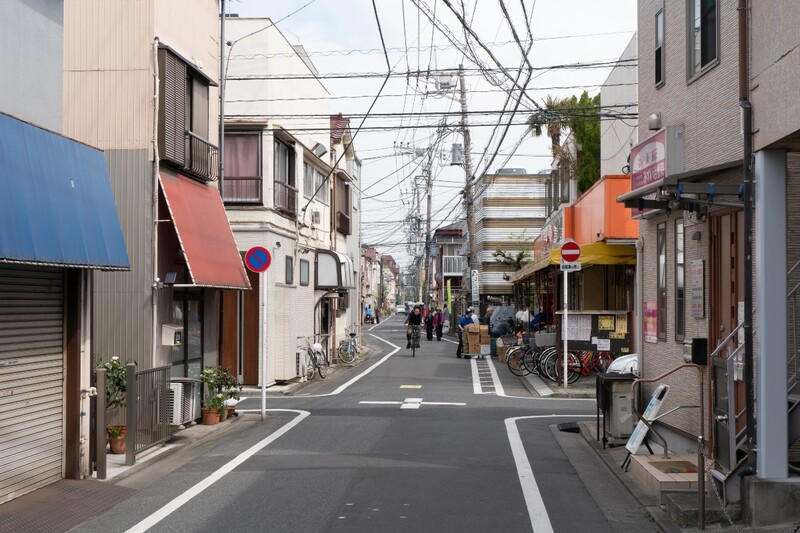 On a macroscopic level, there seems to be an invisible system, which, while incorporating numerous distinct concepts, provides an optimal solution … Tokyo presents one type of future for the contemporary city. 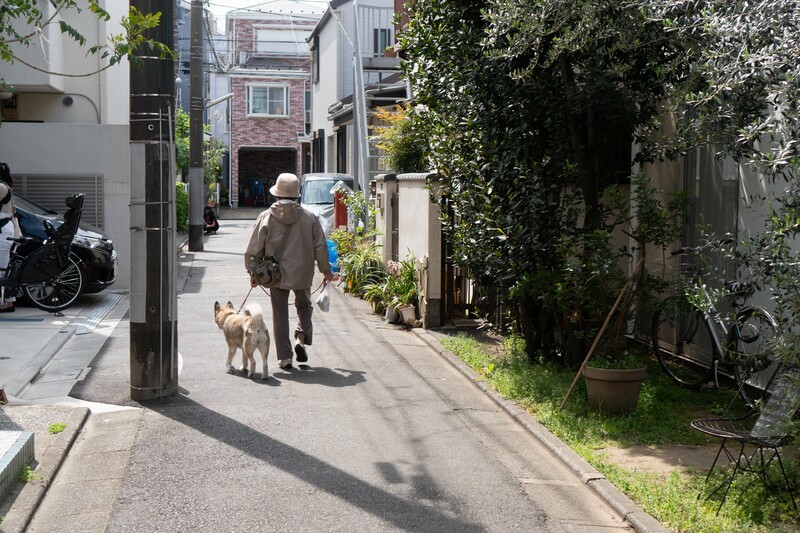 Through its ability to organically bind the smallest grains of living into shared urban fabric at the scale of the megacity, we might learn much from this possible future.